The Driver and Vehicle Standards Agency (DVSA) announced eight recalls for passengers cars in October 2016. The biggest recall is for the Jeep Grand Cherokee, with 4621 affected models made from early 2013 to late 2015. The recall remarks that the vehicle may roll away if the engine is left running - a fault that may be linked to the death of Star Trek actor Anton Yelchin in June 2016. He was found pinned between his Jeep and a brick pillar at his home, after the car apparently rolled back. Jeep says that Yelchin “misused” the vehicle, however, and has not accepted blame. 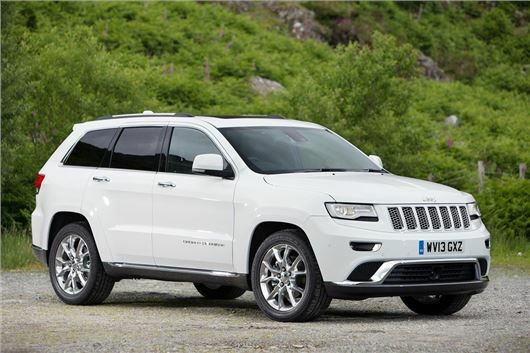 The earlier Jeep Grand Cherokee has also been recalled over a fire risk, with 1401 models built between January 2010 and September 2012 affected. The Jeep Wrangler has also been recalled because its “airbag clockspring may ingest dust” possibly leading to impaired operation in an accident, along with a warning light. SsangYong is recalling 1433 examples of the Tivoli to fix a potential fuel leak, though no fire risk is associated with the problem. The rest of the recalls affect limited numbers of vehicles – 28 Porsche 911s need brake inspections, while 49 Smart ForTwos may roll away when unattended because of an auto transmission problem. There are a few more recalls too, on Peugeot 308, Fiat Panda and the Mercedes-Benz GLC. You can see more detail on all of the October recalls by clicking on them in the table below. You can also see the full list for October, including commercial vehicles and motorcycles, on the DVSA website. My 2016 BMW X3 has been recalled for attention to the child restraint Isofix fittings.